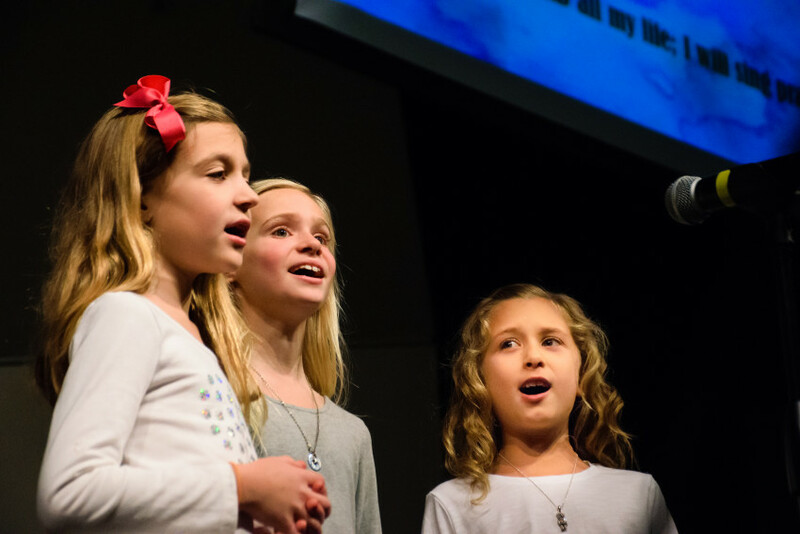 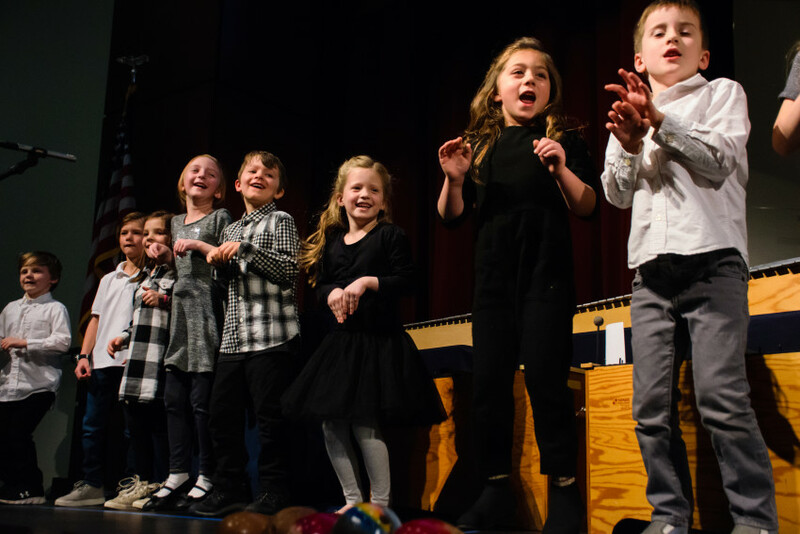 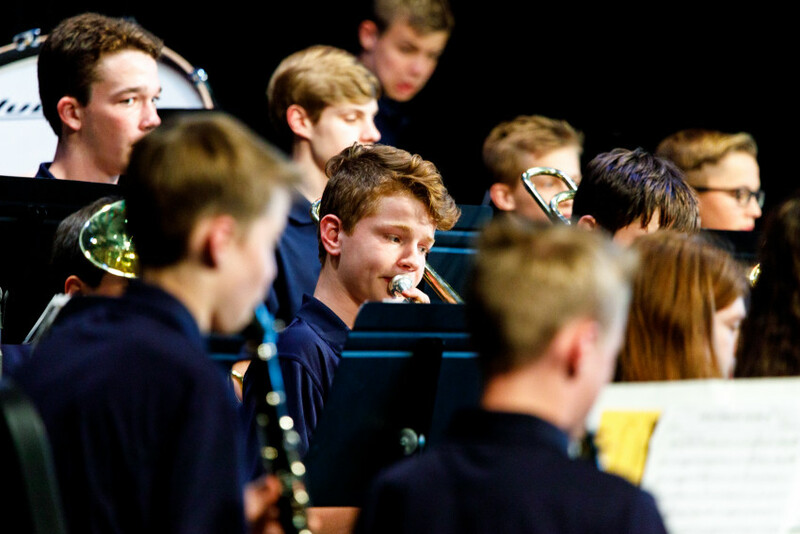 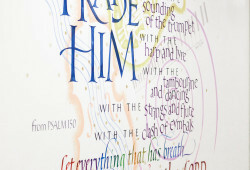 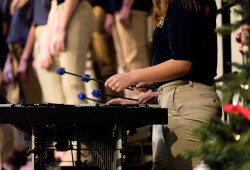 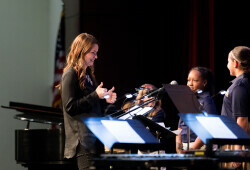 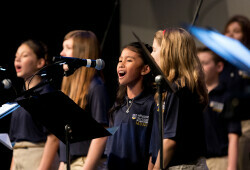 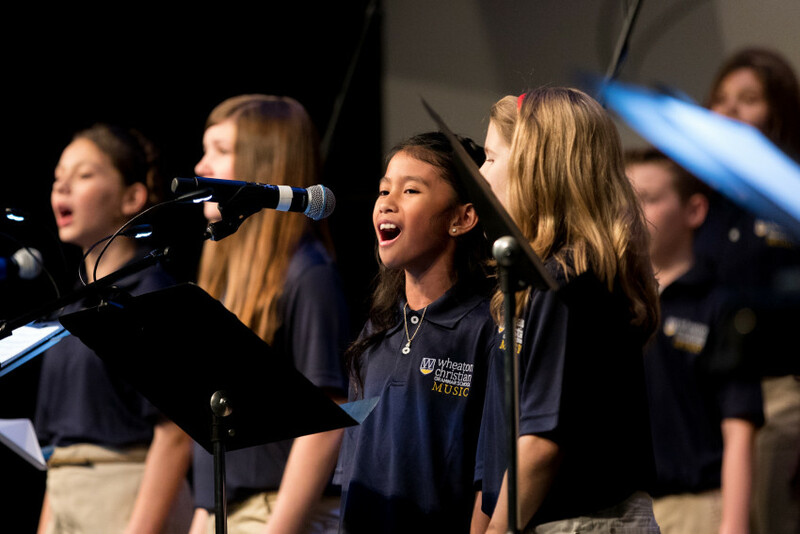 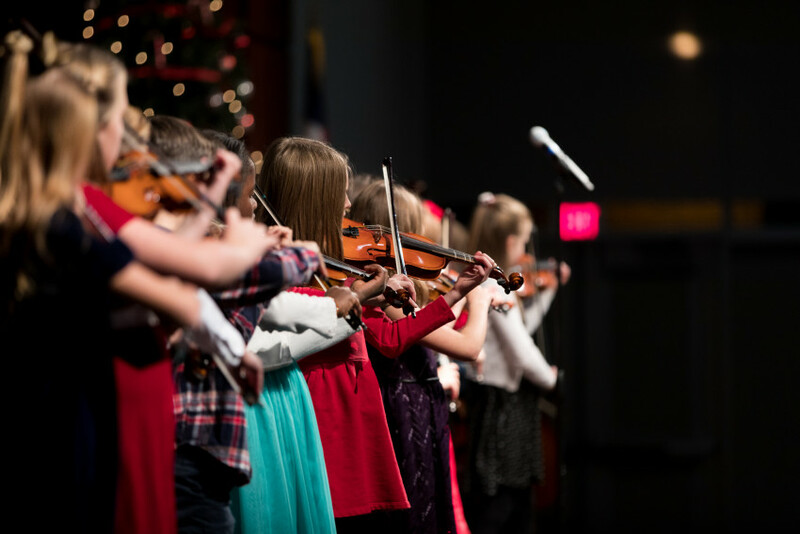 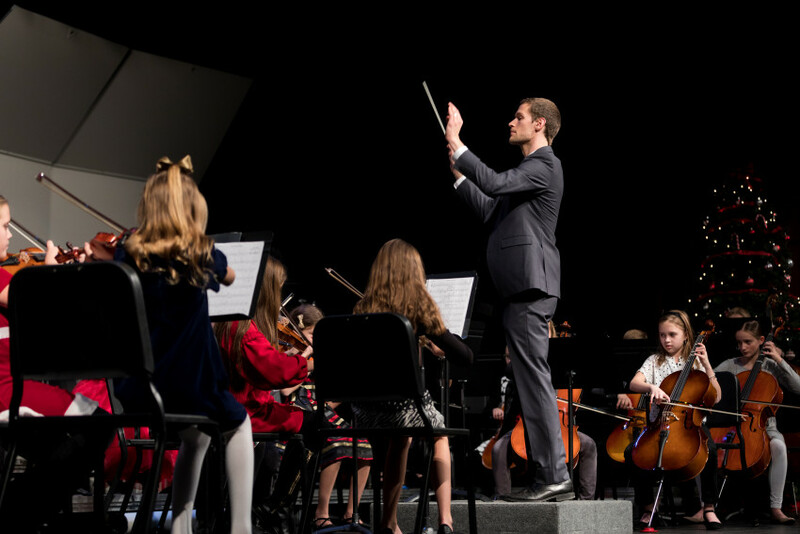 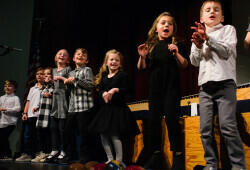 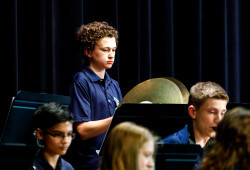 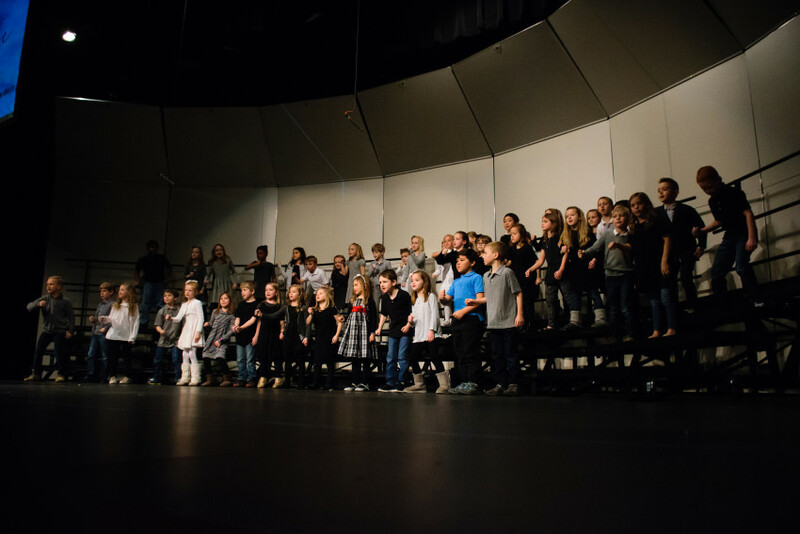 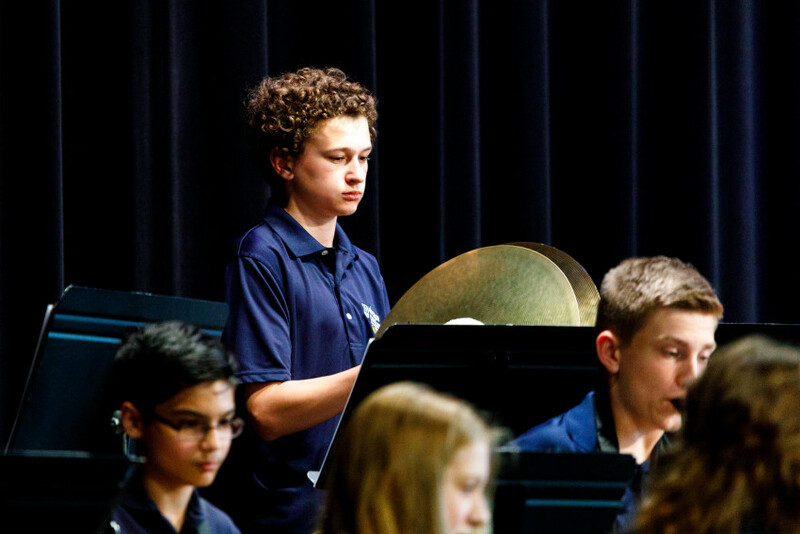 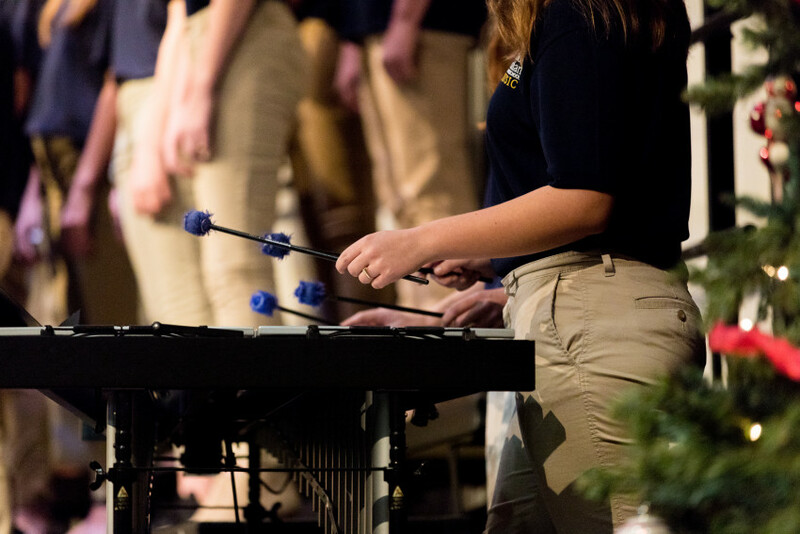 Wheaton Christian Grammar School provides students with a diverse range of fine arts experiences, both within the curriculum and through co-curricular activities. 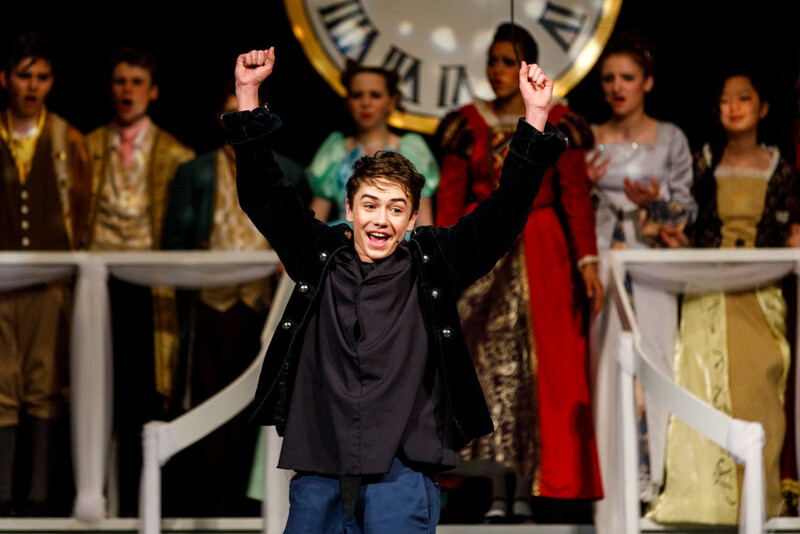 Each year since 1987, WCGS Jr. High students have counted the spring musical as one of the highlights of their year. 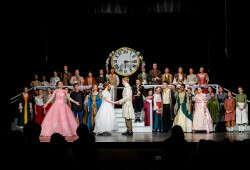 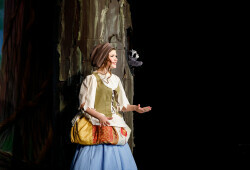 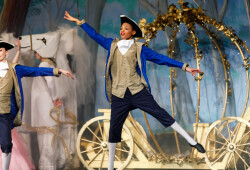 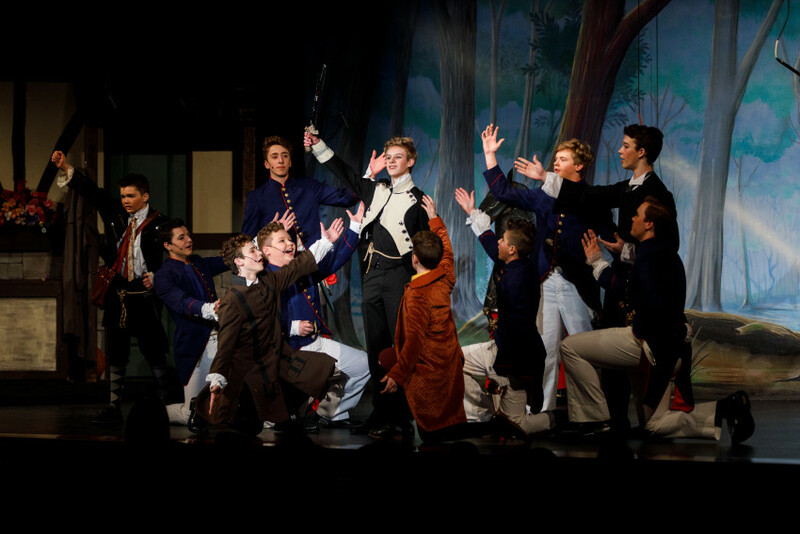 While participation is entirely optional, scores of students are involved as cast and crew members. 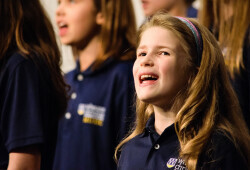 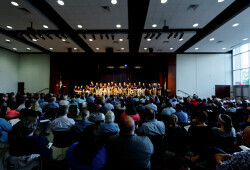 Parents and faculty assist in a myriad of ways, and the results are always entirely memorable. Audience members typically tell us that they can't believe these are Jr. High students! 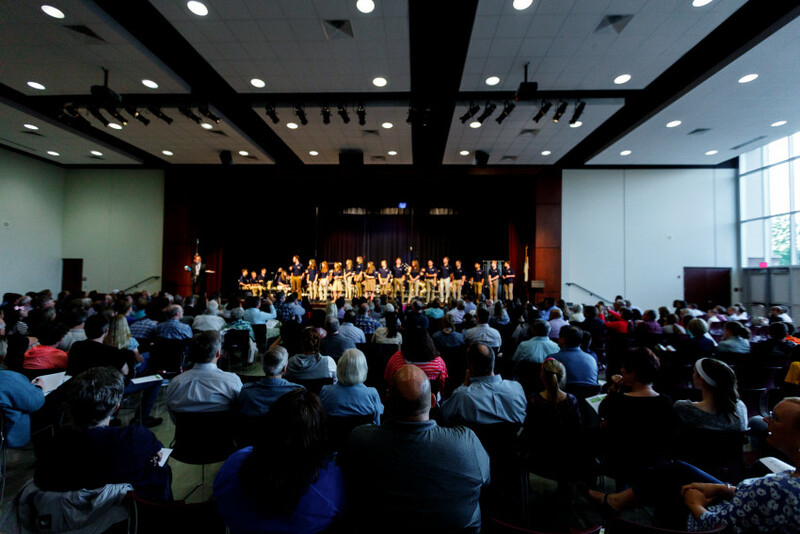 The announcement of the next year's musical selection is kept under wraps until a "reveal assembly" held near the end of the first semester. 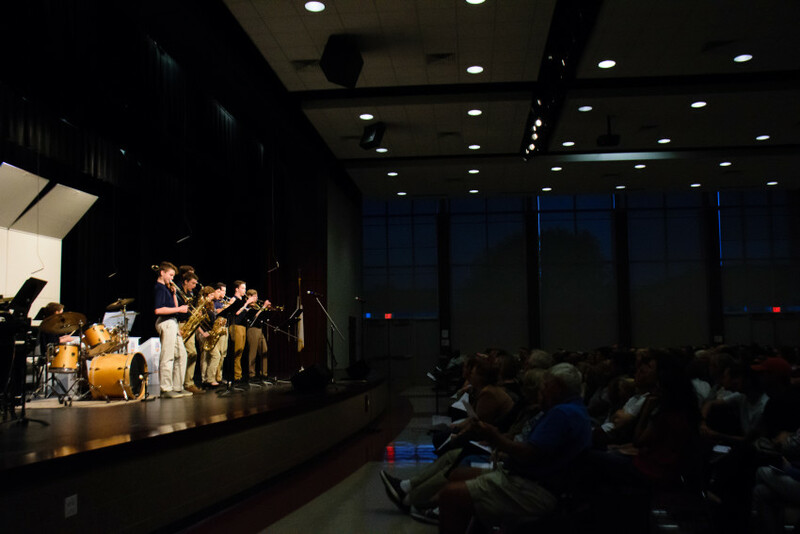 After that, students are invited to audition, cast selections are announced in late January, and rehearsals extend through the late winter and early spring until Fine Arts Week and the musical performances in early May. 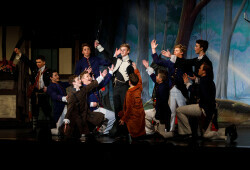 Visit our Jr. High Musical page to see photos and information on our musicals. Wheaton Christian Grammar School's visual arts teachers utilize dedicated classroom spaces with ample art equipment, abundant natural light, a kiln and pottery wheel, and a digital arts studio to engage students with a variety of media. 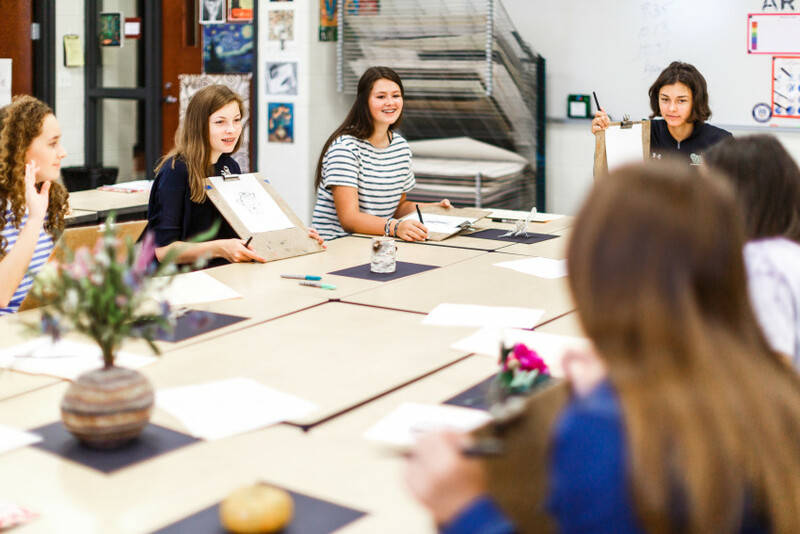 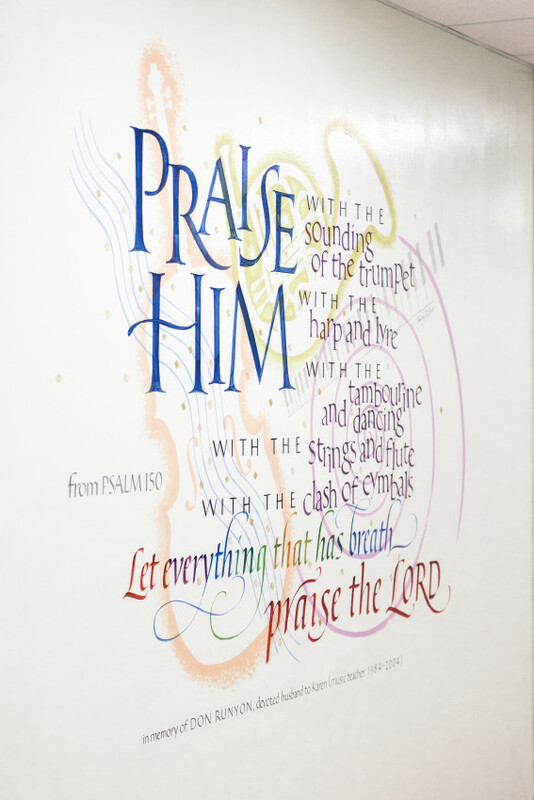 Our students produce approximately 5,000 pieces of art each year, many of which are displayed in our campus corridors on a rotating basis throughout the school year. Representative work is entered in the annual ACSI Regional Arts Festival where our students' art is displayed among 600 exemplary creations from 15 ACSI schools in our region. This group is open to sixth through eighth grade students by audition. This group meets twice a week and performs several times throughout the school year. The Jazz Ensemble includes saxophone, trumpet, trombone, piano, guitar, bass, and drums. 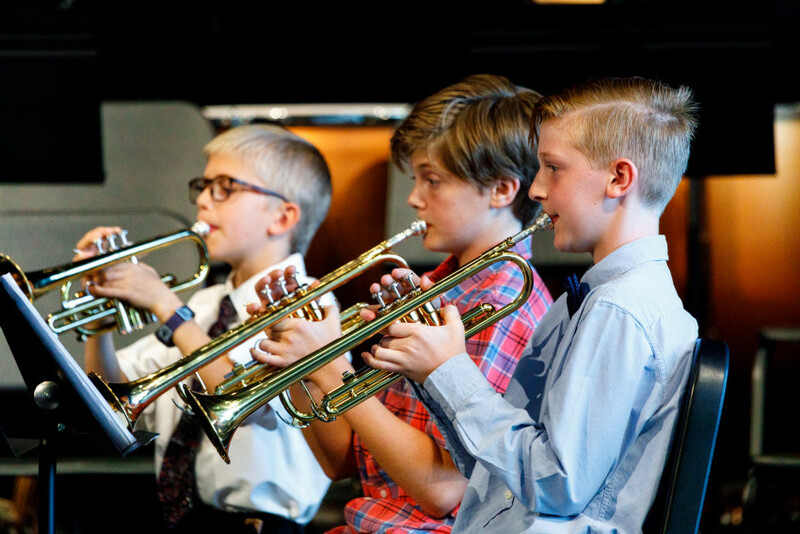 Participation requires an audition. 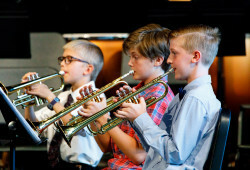 This group meets twice a week and will perform several times throughout the school year. 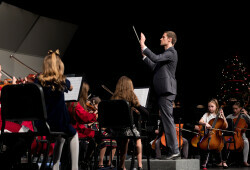 Director - Mr. David Wright. 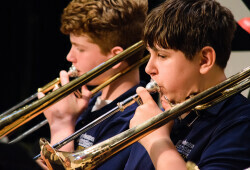 Uniforms are required for students in Concert Band, Concert Orchestra, 6th Grade Choir, and Concert Orchestra. 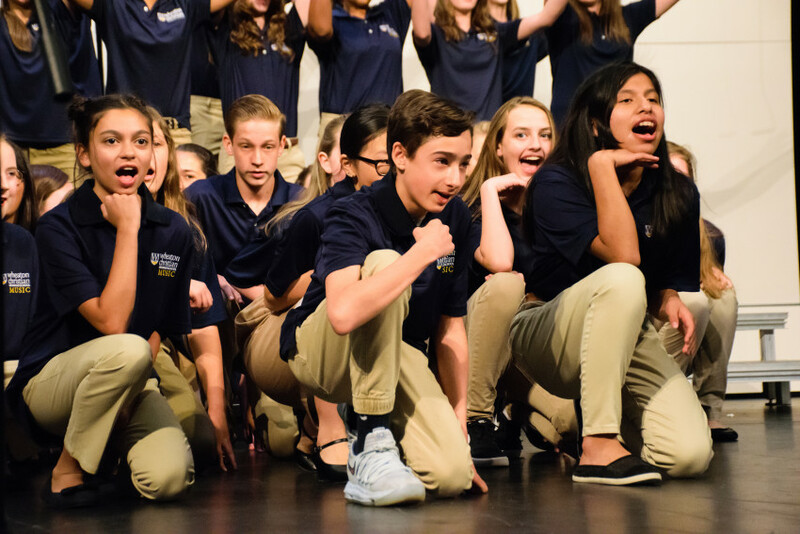 Every summer, Wheaton Christian Grammar School hosts a weeklong Fine Arts Camp with 65 students who perform drama and dance, and create art projects based on the year's theme. 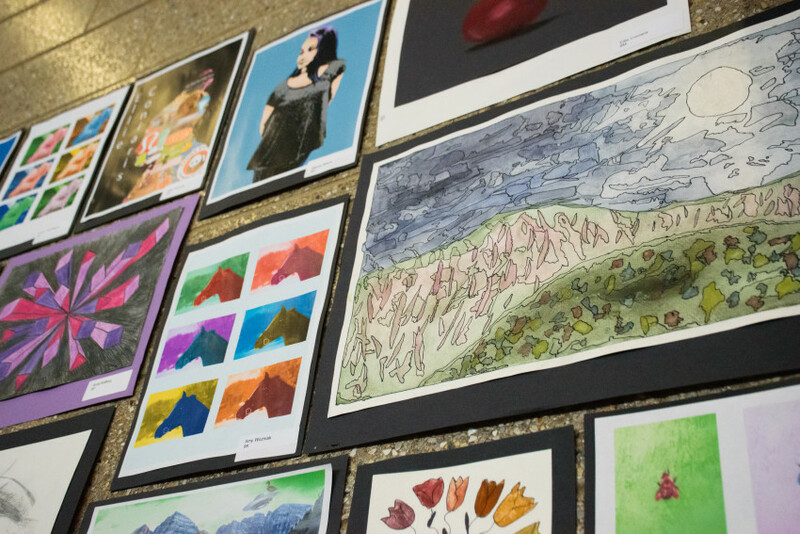 The week concludes with a Variety and Art show. 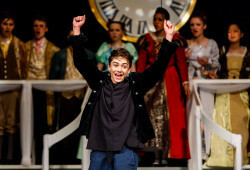 Last year's theme was Pixar's Great Adventure. 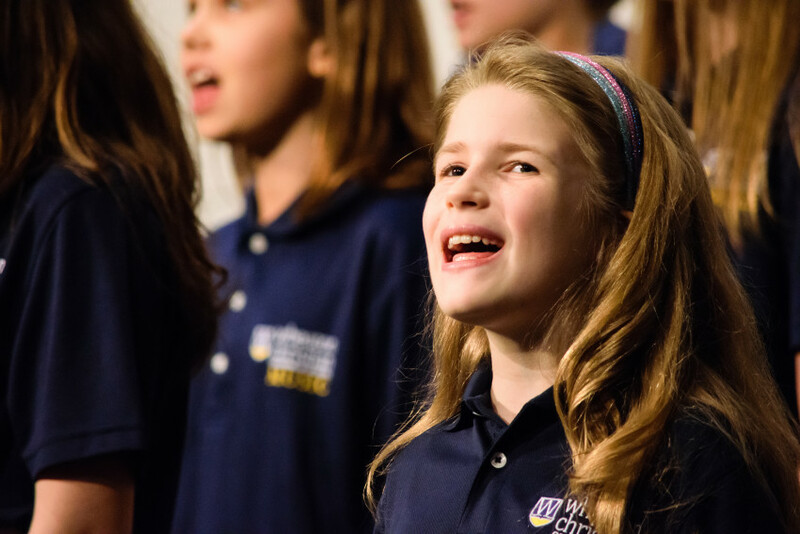 Wheaton Christian Grammar School offers a wide range of fine arts experiences, both within the curriculum an as co-curricular activities.